Did you know that 20% of employee churn happens within the first 45 days? That means that, as a recruiter, you’re back at square one — starting the talent search all over again. 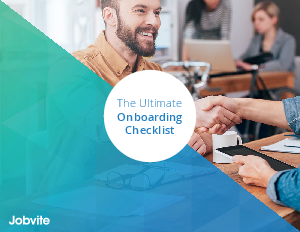 In “The Ultimate Onboarding Checklist,” Jobvite gives you everything that you need to deliver a great onboarding experience before someone starts, on their first day, and beyond.